The term ecopsychology, first coined by writer and theorist Theodore Roszak in his 1992 book, Voice of the Earth, is loosely defined as the connection between ecology and human psychology. Roszak argues that humans can heal what he calls their “psychological alienation” from nature and build a more sustainable society if they recognize that we all have an innate emotional bond with the natural world. The basic premise is that we operate under an illusion that people are separate from nature, and that humans are more apt to derive comfort and even inspiration from contact with the natural world—with which they evolved over the millennia—than with the relatively recent construct of modern urban society. Distancing ourselves from nature, Roszak maintains, has negative psychological consequences for people and also leads to ecological devastation at the hands of a society that, as a result, lacks empathy for nature. While many psychotherapists have adopted aspects of ecopsychology in treating various mental illnesses and psychological disorders, the teachings of Roszak and other contributors to the still-evolving field can be helpful even for those not in need of a therapist’s care. John V. Davis, a Naropa University professor who teaches and writes about ecopsychology, for example, says that meditating in the outdoors, participating in wilderness retreats, involving oneself in nature-based festivals or celebrations of the seasons or other natural phenomena, joining in Earth-nurturing activities such as environmental restoration or advocacy work, and spending time around animals (including pets, which have been shown to have healing effects with the elderly and with people with psychological disabilities) are just a few ways in which the discipline can be used by everyday people to the benefit of their psychological health. Getting kids involved with nature and the outdoors is viewed by ecopsychology fans as key to their development, especially in the technological age we occupy now. 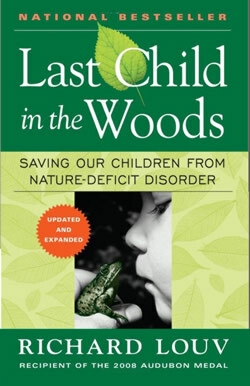 Richard Louv, author of the book, Last Child in the Woods: Saving Our Children from Nature Deficit Disorder, argues that kids are so plugged into television and video games that they’ve lost their connection to the natural world. This disconnect, Louv maintains, has led not only to poor physical fitness among our youth (including obesity), but also long-term mental and spiritual health problems. His work has sparked a worldwide movement to introduce more kids to the wonders of nature through various planned and spontaneous activities. I enjoy and appreciate the work and ideas you and your colleagues are sharing through your blog at Globalwarmingisreal.com. Great stuff. 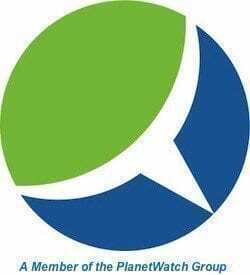 I would therefore like to ask if you if you would be an interview guest for our featured podcast at GreenBlogosphere.com. I’d like to talk about your work at Globalwarmingisreal.com, what you have accomplished so far, and other green projects or initiatives that you may be involved with. The talk would take 20 minutes or so, and once finished, I could provide you with code to embed the interview in your sidebar or blog post. It would be a pleasure to visit with you. As if the woods "out there" would be free of the impact of neoliberal speculation greed. I live in what once was called "the garden of France" and see how daily hedges ( it takes 40 years to re-establish an ecosystem in a bush" and trees gets destroyed for "bigger fields", for "bigger engines" for "bigger profits". IT HURTS TO BE "IN NATURE", and seeing the factory behind the still "beautiful" landscape.Even some of the local animals disappear "out of the fields, into barns" for "local" products disconnected from real environment experience.Only those living there longer see the degrading evolution. Environment is EVERYWHERE and is connected.Bring the kids into the "lean offices" of their parents who by their lifestyles makes that happen.Let their senses make SENSE THERE TOO! Breath in DEEPLY the division between sound good noises of a "privileged education" and the reality "in&out" created by these reality splits.